Sara has to make amends with an innocent man she sent to prison. 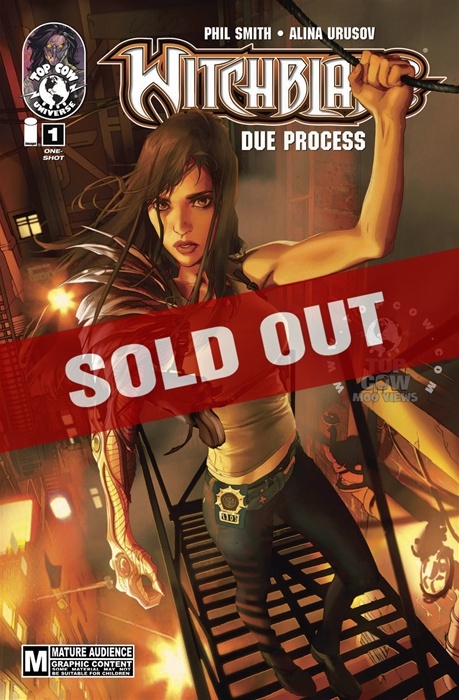 Before young Sara Pezzini was called to bear the Witchblade she made a horrible mistake that destroyed a man’s life. Today that man is being released from prison and has to put the pieces of his life back together. In order to protect his family, this desperate father made a deal with demonic forces, and now it is time to pay. When Sara tries to reach out and make her past wrong right, she's confronted by demonic forces. The stakes: a man's very soul. Written by Phil Smith (Trinity: Blood on the Sands) with art by Alina Urusov (X-23, Young Avengers).